I have been learning juicing on my own using just a blender with my preferred fruits and vegetable. I know it’s good for my health but the downside is it’s kinda lazy to prepare everything from chopping it then cleaning all the mess after, not to mention it is expensive too. So I find Tipco in department store and I am curious because the flavor that caught my eyes is broccoli which is a really crucifix to eat but very convenient if you just bought the carton and drink from it instead of blanching fresh broccoli that sometimes it’s hard to find in public market. 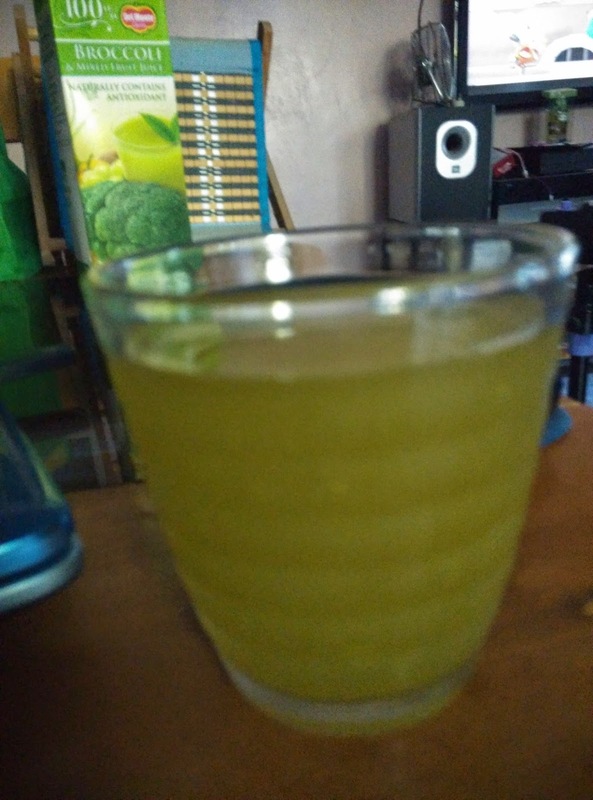 So I did buy it for Php 114.00 per liter and to my surprise it doesn't taste veggie bitter from broccoli instead it is very fruity sweet. And I wonder is this really 100% pure juice from what its package is saying or mix with artificial sweetener to make the taste good? 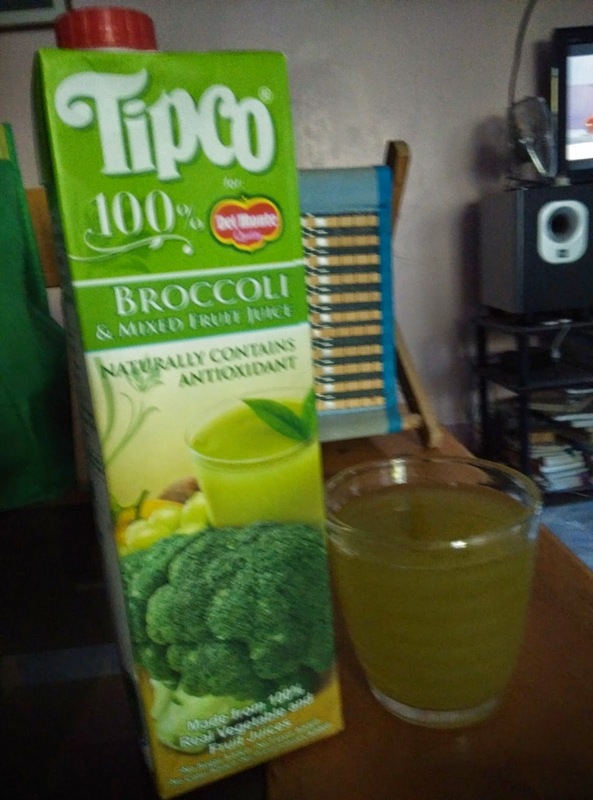 Tipco is 100% juice for Del Monte Quality and I chose Broccoli and mixed fruit juice. It has naturally contains antioxidant made from 100% real vegetable and fruit juices. Serving size is 240 ml or 1 glass that has 91 calories only. It has also noted in the package to keep refrigerated after opening and consume within 3 days only. I suspect that the other fruits include in this juice makes the broccoli so sweet that even children will be pleasurable to drink it. I even search if there are legit reviews about this juice but only end up with sponsored post or gratitude post from Del Monte Company. I knew that Tipco originated in Thailand and I don’t know if Del Monte repackages it or import these juices from there but I saw a video on YT how they juice fruits from its factory which you can watch below. I also think that it has no preservatives because the juice will be spoil after 3 days when you open the carton. Ask me if I buy it again, yes I will but not frequently as I am still skeptical with the sweet taste of it I'm afraid I end up having diabetes with this one. But I recommend this one if you are working out or having a circuit training like mine who is in 30 Day Shred of Jillian Michaels.